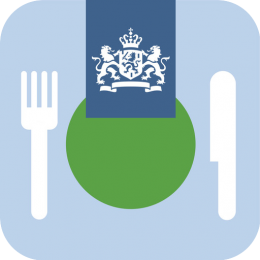 Since the Dutch Food Safety Authority (NVWA) started to publish its lunchroom inspection map in 2014, information on restaurant inspections in the Netherlands are still not available as open data. Only five percent of these results were made public, an analysis by Open State Foundation of NVWA inspection results shows. Food and catering inspections have already been published abroad for a long time in an open, accessible and reusable form. On the open data platform of the national government – data.overheid.nl – five different potential data sets are mentioned, such as Meldingen NVWA and Inspection results, but no data set is public, available or accessible. In the restaurant inspection map published by the NVWA since 2014, you can only find data on 5,715 inspections. Since 2016, the NVWA has published inspection results in a PDF file, the so-called Inspection results for food safety in catering (PDF), but previous requests for re-use met with objections from the NVWA. Initially for ‘technical reasons’ and later because in the opinion of the NVWA the requested data ‘are ultimately the result of an act performed by a natural person’. From an analysis of data that Open State Foundation has scraped from the PDF file Inspection results food safety in the catering industry 30 April 2018, it appears that at the moment of a total of 38,942 results, only 5% is public. Of the 5,562 results, 3623 contains no recent data, 1895 companies comply with legal requirements, 5 are subject to stricter supervision and 138 points for improvement have been identified. The majority is not known to the public. Only the results in Utrecht, The Hague and Rotterdam are about 70% public. Consumer organisations, public watchdogs and journalists have been calling on the NVWA for years to publish inspection data and some had to go to court first before information was shared. Four years after the launch of the Horeca inspection card in 2014, it is urgent to make this inspection data accessible and actively available to everyone in a machine-readable form.